David is an excellent attorney and a very knowledgeable person of the insurance industry. I was in a serious auto/semi accident in 2010, thanks to David’s knowledge and dedication to my case we were able to reach a very favorable settlement. I would give the highest recommendation. 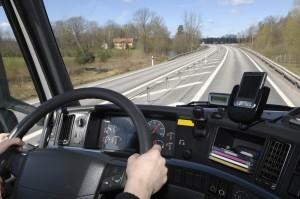 Tractor-trailer accidents can have a devastating impact on the lives of those involved. As tractor-trailers are so much larger than any other vehicle on the road, they have the potential to inflict severe injury and damage when they are involved in collisions. If you have suffered injury in an accident with a tractor-trailer, you will likely benefit from securing the services of an Alpharetta personal injury lawyer who can fight for fair injury compensation on your behalf. Tractor-trailer drivers are under immense pressure from their employers to deliver their cargo on time. In an effort to do this, they frequently put in long hours on the road, sometimes even driving through the night. Many hours of driving without sleep can translate to overwhelming drowsiness. At best, this greatly affects a truck driver’s awareness and reaction time. In a worst-case scenario, it can result in the truck driver falling asleep at the wheel. Either of these phenomena can result in an accident in which many other motorists are seriously injured or even killed. As an effort to combat truck driver fatigue the Department of Transportation (DOT) continually adds regulations to monitor the hours that truck drivers work. The most recent change made to the trucking industry is the requirement for truck drivers to take a 30-minute break in the first 8 hours of their shift. Even with breaks, 82 hours was considered too much for a truck driver so the government shortened the maximum hours to 70 per week. Truck drivers start their shifts around 5 a.m. in order to avoid the traffic hours in the morning. The effects their sleeping schedule and the DOT decided that it was necessary to take a 34-hour break once a week to make sure that the drivers are receiving a full night of sleep. All too often, trucking companies do not follow these regulations or drivers still suffer from severe fatigue even while following the guidelines. If you have been involved in an accident caused by a truck driver, be sure to contact Van Sant Law right away for help in your case. We may be able to help you prove that the driver was fatigued or at fault in some way for the accident. At Van Sant Law, we have provided legal representation in a number of tractor-trailer accident cases, and so we understand the hardship that can be caused to the victims involved. We also understand that trucking companies (and their insurance companies) are primarily concerned with making money, and will avoid paying out adequate settlements to accident victims if they can. With our significant experience in the area of personal injury law, we can take legal action against the trucking company responsible for your accident, and increase the likelihood that you will receive a settlement that covers most or all of your injury expenses. Contact an Alpharetta personal injury attorney from our firm today for help in your case!